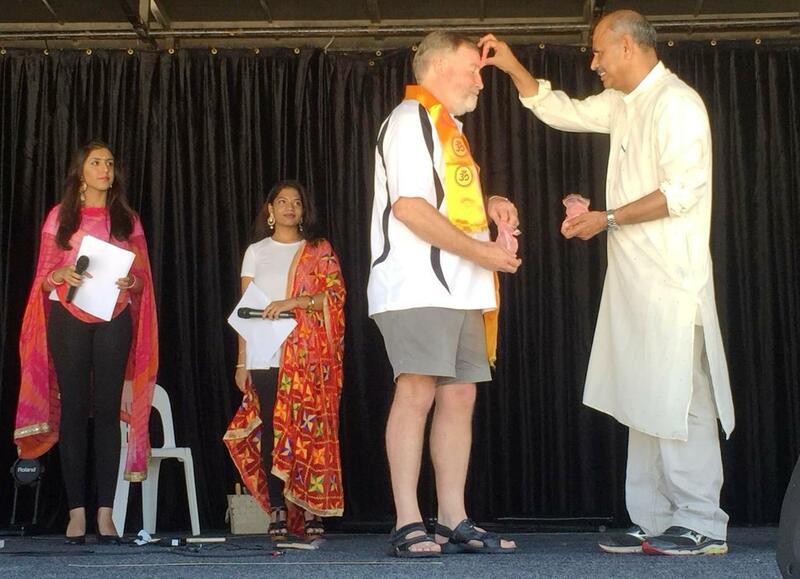 Hindu Council of Australia and Cumberland council jointly organized the Cumberland Festival of Colours Holi at Civic Park Pendle Hill on Saturday3rd March with great zeal and fanfare. The event was formally opened by the Cumberland Council May or Greg Cummings & by Mr Prakash Mehta, President Hindu Council of Australia. They smeared each other with Holi colours signifying the start of the festival. Punjabi dhol, music, colours and fun loving children and youth eagerly joined with colours in their palms. Soon every other VIP joined the holi fun and the sprinkling of colours immersed everyone. Julie Owens MP Member for Parramatta, Hon Minister Ray Williams MP Member for Castle Hill – NSW Minister for Multiculturalism & Minister of Disability Services, Dr Hugh McDermott MP Member for Prospect, Julia Finn MP Member for Granville, Cumberland Council Mayor Greg Cummings, Clr Suman Saha, Clr Lisa Lakes & Clr Sameer Pandey Parramatta Council, were all smeared in colours and had a good time. The event was organized by the Hindu Council of Australia on a very short notice with a meeting with Mayor Greg Cummings, Clr SumanS aha, Group Mgr Brooke Endicott from the Cumberland Council and , Mr Jay Raman (President NSW), Mr Surinder Jain (National Vice President), Ashwani Jain (Secretary NSW) from Hind u Council of Australia. While some young children enjoyed rides, others had a joyous time practicing their game skills with the Cricket NSW Sydney Thunder Bus. The bus was a major attraction for all cricket lovers. The onsite Police vehicles were a big attraction for kids who were eager to see the interiors of police cars. Many children tool selfies with police officers and with the State Emergency Services volunteers there. A separate area had been set aside for playing colours and the atmosphere was filled with colours and DJ music and many cultural performances on the stage. For grown ups, it was a recreation of their Holi back home while for younger children, it was the first time to come face to face with Holi colours. The event was a big success and set a new benchmark. 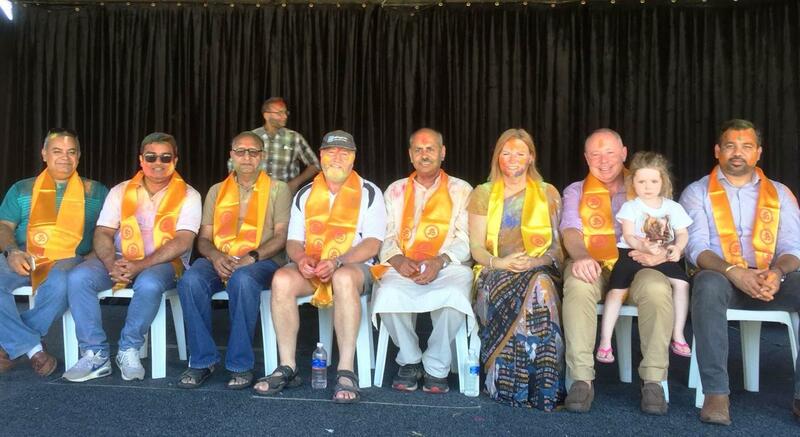 The ease with which many elected representatives joined the fun made Hindus feel very welcome and at home in their new homeland Australia.